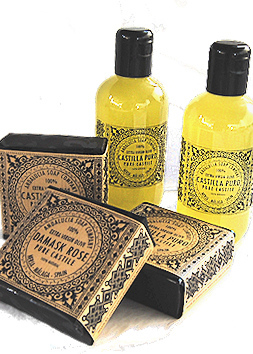 CASTILE LIQUID SOAP..versatile with a multitude of uses. What is a True Olive Castile ? We are an Andalucia based manufacturer of truly ethical skin care products that include natural soap, pure organic olive oil soap, natural creams, lotions, body butters and liquid castile soap. We are a supplier to both retail and wholesale. The main ingredient in the manufacture of our soap bars, loaves and blocks and also our organic liquid castile soap is unfiltered extra virgin olive oil and in true castilla or Spanish castile soap makers tradition we include between 80 and 100% of the finest first press available. The benefits of pure olive oil soap for the skin have long been known and documented. We enhance some of our all natural handmade soap formulations with other high quality pure oils and butters, such as organic shea butter and cocoa butter, cold pressed local avocado oil and many more.. These ingredients are then combined together in a cold process handmade method of production. This method of natural soap making is superior due to the fact that the olive oil is not heated above the ambient air temperature, this ensures that the emollients (moisturising qualities) present in the oils are preserved. During the process, blends of pure essential oils are added to fragrance the end product naturally. Natural organic bath products that are hand crafted in this way are very gentle and mild and are suitable for all skin types, even for use on small children and very sensitive skin. Beside our organic olive oil soap, we also produce a range of all natural skin care products, body and facial creams, organic body butters and aromatherapy organic bath products, all formulated with the finest ingredients that are packed with anti-oxidants to neutralise free radicals that are a cause of skin deterioration, lines, wrinkles and premature ageing. Like our handmade natural soap, these products are made in a cold process that ensures that the active ingredients are retained. Our body and face creams are readily absorbed and do not leave a residue on the skin. They are highly moisturising and ensure your skin is left feeling soft. 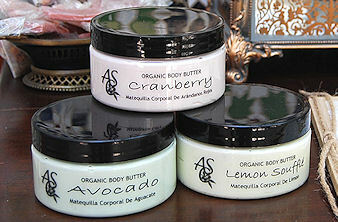 These products in combination with our pure handmade soap offer you the best natural skin care available anywhere. NO CHEMICALS - NO ANIMAL TESTING - NO PALM OIL. Andalucia natural soap company products are et hical and do not contain synthetics, chemical fragrances, detergents, foaming agents such as SLS (sodium laureth sulphate) or parabens. We ensurethat our raw materials are derived from sustainable and fair trade resources. We do not test or include anything that has been tested on animals. We have a strict palm oil free products policy and we do not use palm oil derived ingredients in any of our formulations. Further, our cream jars and bottles are all made of post consumer recycled material and can be further recycled after you have used them. We supply our extensive range of bath and shower soaps, olive oil soap, pure castile soap, natural skin care and organic bath products to both retail and wholesale. 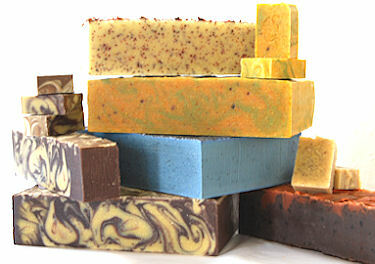 If you are a re seller, please contact us for our wholesale handmade soap list .